A recently released survey ranks Traditional Chinese medicine (TCM) as the top cultural symbol associated with China among people overseas. 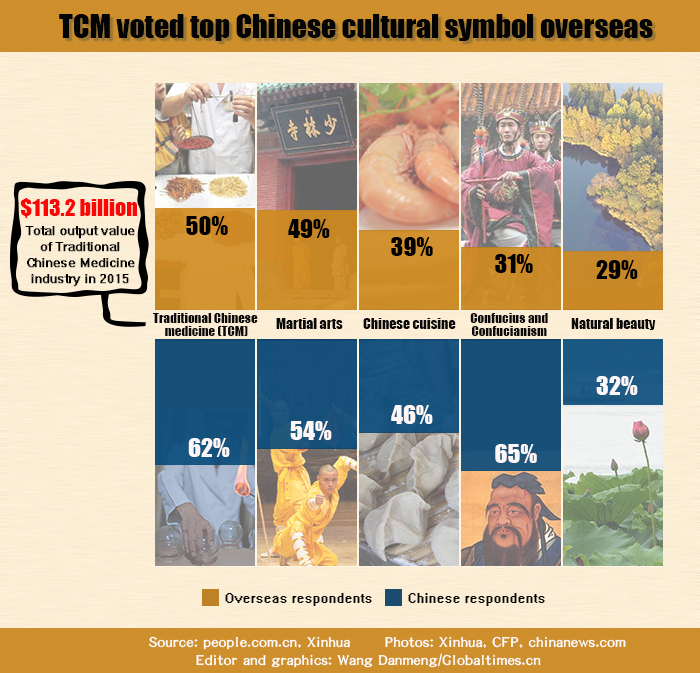 According to the 4th Global Survey Report of China' Image (2015) by the Center for International Communication Studies, the majority of respondents chose TCM as most representing Chinese culture, followed by martial arts, cuisine, Confucianism and natural beauty. TCM is also a growing market, making up about one-third of China’s pharmaceutical industry in 2015.